Southern California is infamous for its hectic interstates, as people get slowed down by traffic, caught in the wrong lane and all other kinds of mayhem. If your customers just had a frustrating experience on the 405, the last thing they’ll want to do is get lost trying to find your building. No matter what kind of signage elements you need, SpeedPro Imaging North OC can create it all. You can significantly reduce customer frustration while improving the flow of foot traffic with wayfinding signage, increasing business and sales. Let’s say that frustrated interstate driver goes through your directionless maze of a business. He’s already in a bad mood, and that can lead to negative impressions of your business, which you can’t afford when you’re trying to establish yourself. If you’re not careful, the superior quality of your products or services can be ruined by an easily preventable flaw. 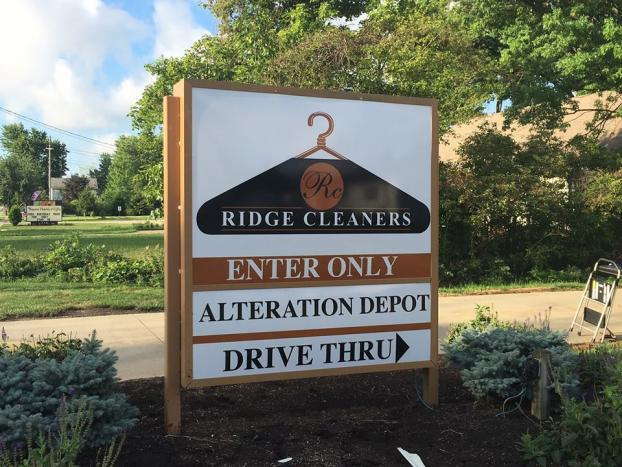 Our visual communication experts will work diligently to prevent such a situation from unfolding, as your entire building will be laid out from front to back in the signage we create. We consider ourselves a one-stop shop for all of your graphics needs. From start to finish, we’ll remain thoroughly involved until you’re satisfied. 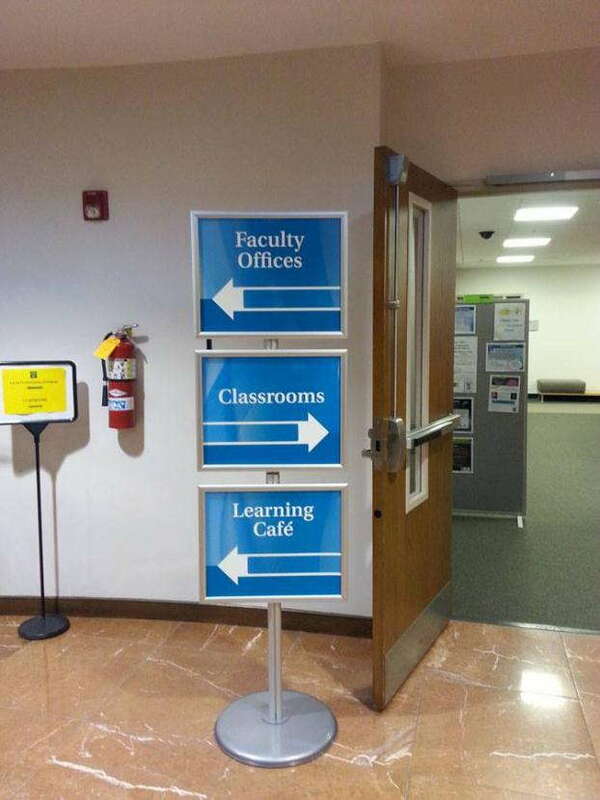 The first area that might come to mind with directional signage is the interior of your building. Seemingly never-ending halls are a formidable nightmare, but customers first need to find your front door. We can help you organize your parking lot or assist foot traffic in finding your place in a busy downtown scene. You can organize parking lots with sturdy signs — built with wood, metal or plastics — that clearly lay out how the lot flows and where people can find the appropriate wings of the building. 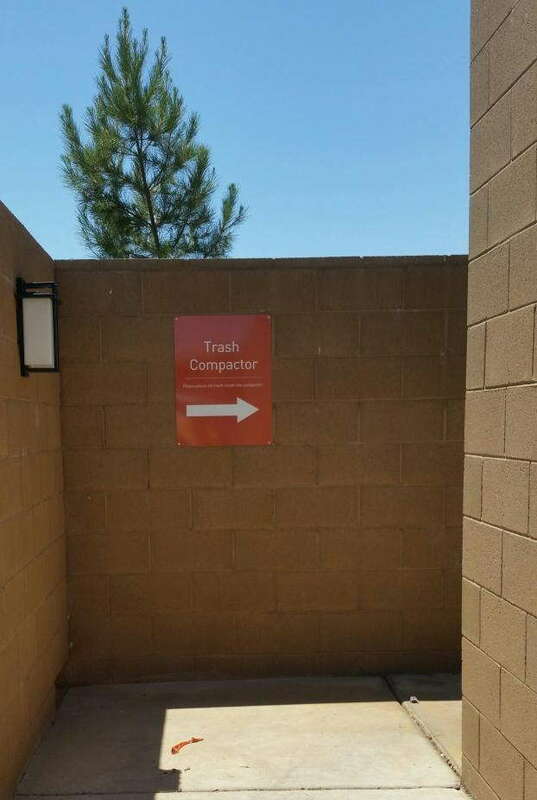 You can also bury the signs in the ground with reinforced posts or mount them to the sides of the building — whatever works best for your unique location. A-frames, which hold chalkboards, whiteboards, posters and foamcore, can be used temporarily to give directions in event lots. They’ll also fit conveniently in the street outside of your store. You can easily customize them for the occasion. 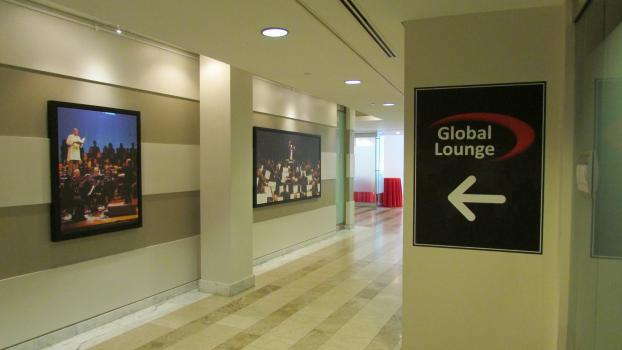 When clients finally enter the inside of your space, they should find markers placed throughout the lobby and hallways to point them toward important rooms or people. Directories and diagrams fit well in a variety of spots, including on the wall and on glass surfaces. If you need temporary directions at a venue for events, you can use custom floor graphics for a fun spin. They’re easily noticeable, and you can pack them with other useful information like times and dates. Contact us to schedule and prepare for your initial consultation with our team of experts. You can also visit our studio, which is located on Parkway Loop in Tustin.